The above is in HTML5 format..
here's the YouTube link for this video if you want to leave a vote.  I captured this intriguing and colorful lightform UFO tonight at 9.55 pm September 28, 2018, over Farnborough, UK. Weather conditions were dry, cold, clear sky, no cloud, three-quarter moon. Camera: Sony Handycam - full zoom used x 10. Being avid skywatchers, we often scan the sky about this time of night for any possible UFO activity; of course, we rarely see anything as good as tonight's catch; but this interesting object immediately secured the attention of my partner Hilary, who saw this before I did; she initially called me to come and watch... at which point I grabbed my camcorder from the back room and dashed to the front door. Mars is visible to the right of the picture when I zoom out and back again for reference, and there should be no other astronomical object visible where this unidentified was. What was it we wonder? Apart from its sheer size, its shape and color-changing behavior, the most incredible thing about this object was how it clearly switched its lights off and on again, at least 4 times as we watched, (please remember that Hilary spotted the UFO first, so this object probably made its appearance in the sky about 1 minute prior to my recording... that's a total appearance time of approx 4-5 minutes) before it simply vanished completely! I must point out here that when the UFO vanishes, this isn't because I have zoomed out; I had my camera set on maximum zoom, only 'pulling back' once for reference and another time because the object disappeared. That object went out like someone had suddenly turned off a light switch, and came back on again just as suddenly, repeating this action several times. It was most certainly NOT a drone in our opinion.. it was way too big! and not a flare either... and there were times when it had the classic UFO look about it. ... you will have noticed that following our release of the very long and detailed BEAMS 'dossier PDF Farnborough - The Magic Kingdom' concerning a suspected subterranean facility here at QinetiQ (after which, sightings over this location suddenly dried up for a few years), now, it may have awoken again, hopefully! We say to anyone living in our area, you must keep an eye out, anything can happen here!